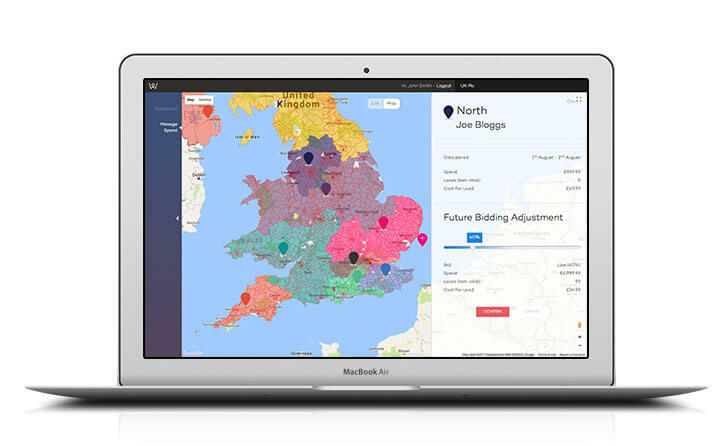 Decision is a unique PPC bid management platform that uses Artificial Intelligence to continually learn and optimise itself in real-time. Decision automatically manages paid media spend to take advantage of every opportunity as it happens. By working smarter, it delivers on average a 49% increase in leads for 72% less cost per conversion. Decision is revolutionising PPC bid management. As an always on solution, Decision fights for your brand by taking intelligence action based on real-time data. Decision is the only software in the world to continually check competitor websites, organic rankings and PPC bid activity to seek out the optimum opportunities for your brand. By monitoring competitor websites and ad copy, Decision constantly identifies new key phrase opportunities. It then automatically creates new ads and tests them. Decision is relentless. Automatically running unlimited, simultaneous split tests across device and browser type, ad copy, bid amount, time of day and more. Decision helps you increase or decrease the number of leads generated for your regional sales teams based on their availability. Using a simple interface you can dial up or down PPC spend accordingly to maximise your budget. Brand bidding, on or off? Using Artificial Intelligence, Decision monitors your brand and your competitors across both paid and organic activity. It automatically turns brand bidding on or off to maximise your ROI. Our dedicated team of PPC experts are ready to support you, making sure Decision is constantly adding value and delivering ROI. So far, Decision has delivered a minimum of 30% improvement in ROI for every customer running it. It offers intelligence and actions that would be impossible to achieve manually, whilst providing efficiencies and cost savings that have never been experienced before. Supported by our team of PPC experts, your brand can constantly outsmart competitors, with accurate marketing decisions taken care of. See how brands are using Decision to deliver more leads for less spend. We aim to constantly develop and evolve our products, which are available to buy as a managed service, software with dashboards or over APIs.